What began in Denver, Colo., in 1973 as "a pad of paper and a dream" is now a global real estate franchise network that spreads across 95 countries and eight territories, on six continents. The revolutionary RE/MAX Concept of enabling real estate professionals to maximize their business potential has evolved into an organization of more than 100,000 Sales Associates in more than 7000 offices in 95 Countries Worldwide. The red, white and blue RE/MAX Balloon, with its "Above the Crowd!®"slogan, is one of the most recognizable business logos in the world. 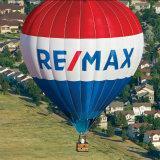 With nearly 95 RE/MAX Hot Air Balloons around the globe, RE/MAX has the world's largest balloon fleet. 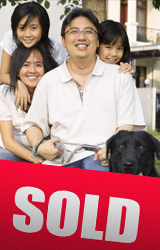 At RE/MAX, we strongly believe in being productive, contributing members of the communities we live and work in. Our brokers and agents are community leaders, donating both their time and money to countless charities and causes. Below are just some of the ways RE/MAX is making a difference in your community—because the difference we make in our communities benefits us all.